← Why don’t they make these any more? 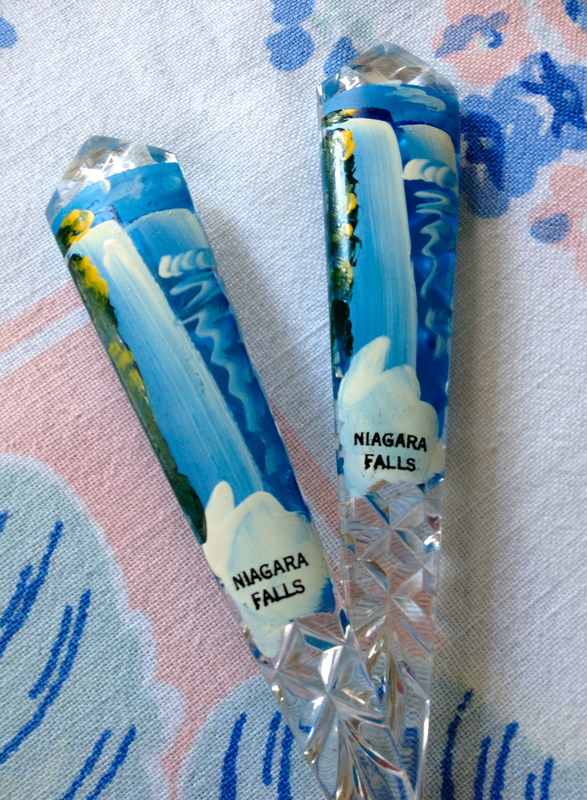 We’re home from our road trip to Niagara Falls. And slowly we turn . . . step by step . . . inch by inch . . . back to the ordinary things like dishes and laundry. I bought myself a souvenir before we even got there. Because I am a total sucker for vintage souvenirs, you know. 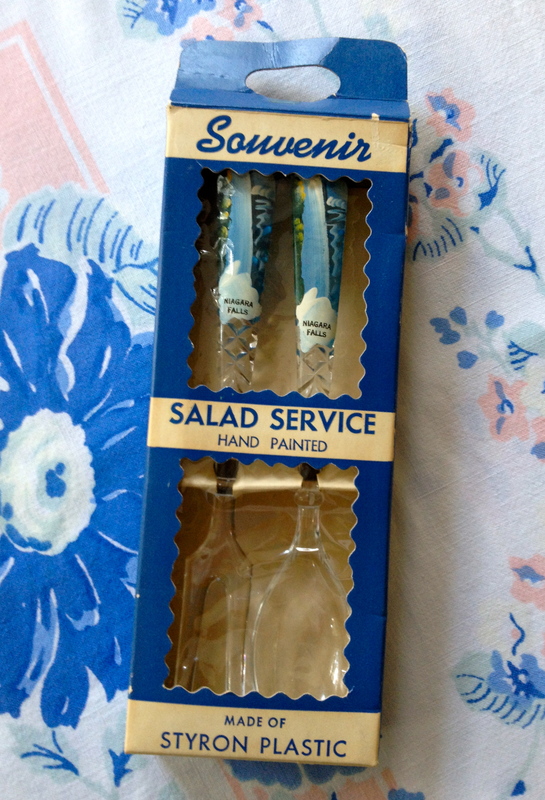 In a cute little antique shop in Canandaigua, I found these salad servers. They’re never-used and still in the box! Space-age Styron plastic, that is. Were these a gift for somebody back home—the new mother-in-law, perhaps?—who thought they were just too nice to actually use? 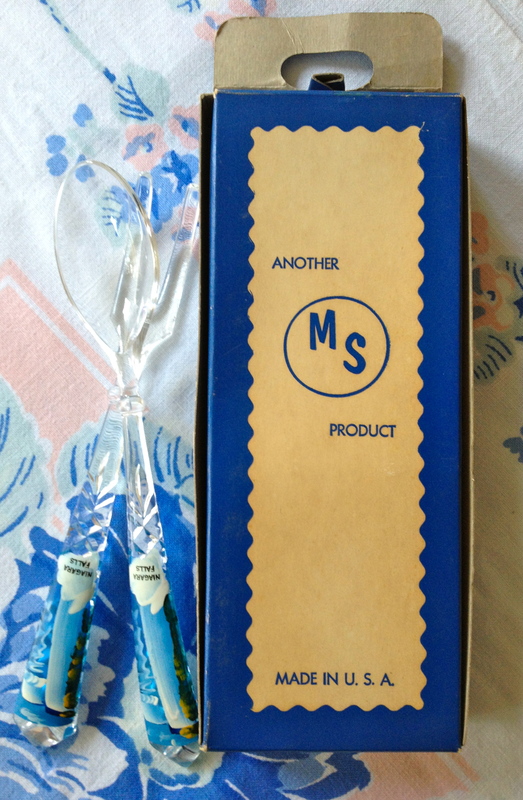 Yes, I’d love to know what else MS Products produced! And so pretty with the hand-painted scenes. Looks like a view from the river—American Falls on the left there, Horseshoe Falls in the background. Such delicate details! 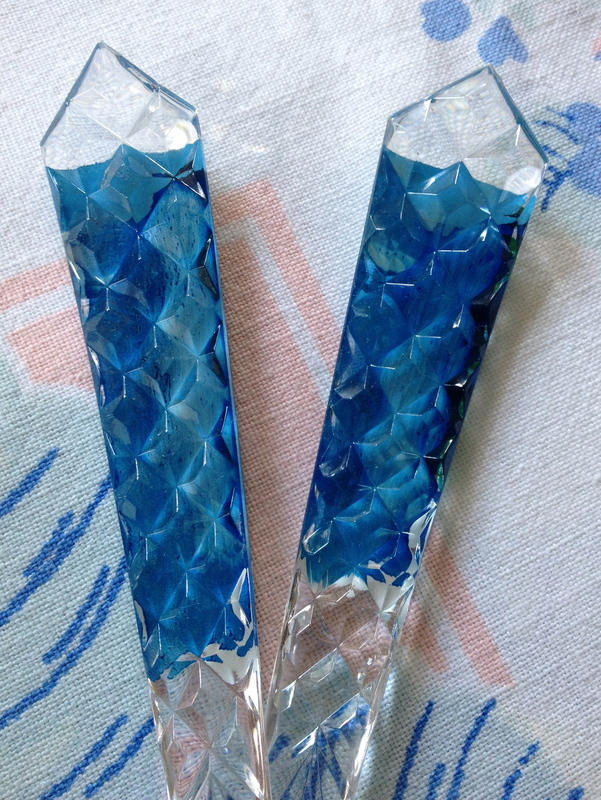 The back of the handles is all crystal-ly for a good grip. 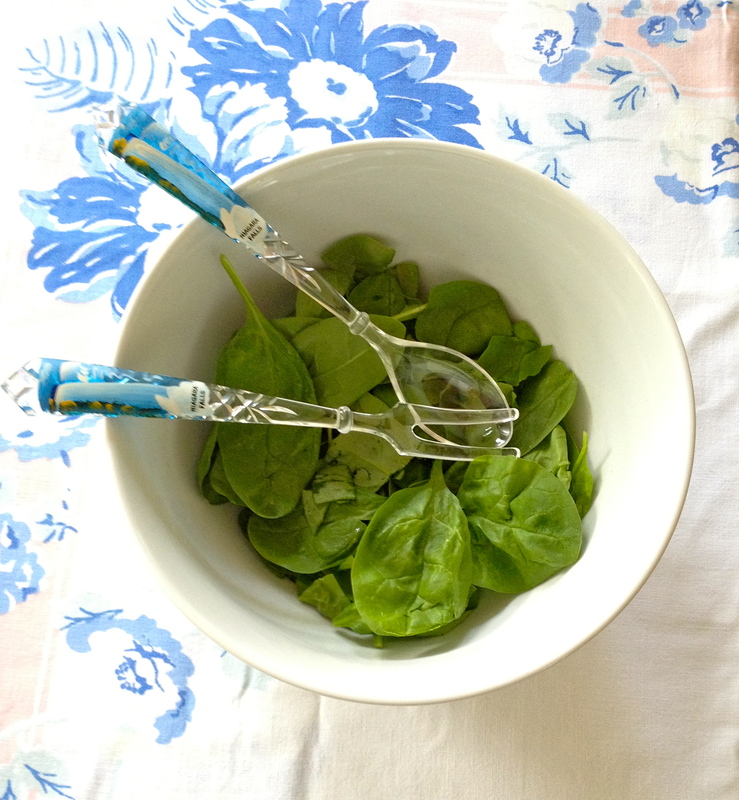 Let’s add a spinach salad and wish we were still on vacation! I would have bought myself a little souvenir too…those are awesome! I’m a little afraid to use them because I don’t want to chip the paint, but then again I don’t see the point of owning cute things I can’t use! So . . .they’re going carefully in the silverware drawer.